"Why do we want to fit everyone in our narrative of what is civilized?..." RAYAGADA DISTRICT — After graduating from high school, 17-year-old Khirot Kutruka might pursue a university degree. But eventually he says his plans are to return to the fields where he grew up. Part of the Kondh Indigenous People from the Rayagada district of India's eastern state of Odisha, Kutruka commutes every day seven kilometers from his village, Goelkona, to attend school in a neighboring town. Thin, short and quiet, Kutruka is one of the district's numerous tribal people — Adivasi, as they are known in India — getting a public school education because of the state government's efforts to promote the ‘mainstreaming' of Adivasi children. He studies English, history, political science and economics — subjects that have little to do with his life in the village. A single teacher instructs a class of 350 students, 44% of whom are Kondh. The remainder are Dalits — the so-called untouchables who are at the bottom of the Hindu caste system. The relatively well-off upper-class Odiya students attend private school, and relocate to the neighboring state of Andhra Pradesh for college. While Kutruka isn't sure whether what he is learning will help him once he is back in his village, experts are particularly worried about what he's losing. Pradeep Prabhu, a retired dean from the Tata Institute of Social Sciences (TISS) of Tuljapur and co-author of the Forest Rights Act, is deeply concerned with the government's push to "educate" the Adivasis. "Why do we want to fit everyone in our narrative of what is civilized? These are extremely sophisticated societies with highly evolved structures to train their younger generations in life skills. We need an alternate hegemony to appreciate other models of life," he said. Elders in Kondh communities have started sensing the rapid decline of skills among younger generations. Adivasi children typically start learning the ‘ways of life' as soon as they are born. For example, they cling to their mothers as the latter go into the forests for gathering food every day. "Children learn by example how to interact with others, and how to help each other out, especially in difficult situations, like encountering animals in the forest," says Debjeet Sarangi, founding member of Living Farms, an organization working with Adivasi in Odisha. "More importantly, they are cared for by everyone in the village, not just the mothers. It builds their interpersonal relationships." If you lose connection with your forest, you lose connection with your people as well. "Babies and toddlers are always with us. They listen to whatever we talk about. Nothing is inappropriate for their age – that's how they learn to talk and relate to others," says Bhagyo Saraka, 40, who is from Darukona, another Kondh village in the Rayagada district. Darukona neighbors with Kachapaju village, home to Dalit and Christian converts who attend Christian school. Adivasi have resisted the Eucalyptus plantations grown by the villagers from Kachapaju because they are very water-intensive and do not leave enough water for other crops. However, the geographical proximity with non-Adivasi villages has brought schools close the the Adivasi, causing influences to rub off. Anthropologists Malvika Gupta and Felix Padel have been working on indigenous issues in India. Voicing their concerns about the the mainstreaming of Adivasi, they said, "In Kondh/Dongria culture, children are encouraged to share their dreams every morning, as a resource that derives straight from the deepest levels of awareness and inspiration. Children's dreams form a vital daily input for the whole community in a way that is unimaginable in mainstream society." "What do these kids know? They sit within four walls all day," complains villager Tille Kolaka, 50. "Our parents taught us everything about forests. They don't know even how to collect [food] on their own. They are lost in the forest, which is our mother." Children's dreams form a vital daily input for the whole community in a way that is unimaginable in mainstream society. Kolaka's words ring true when talking to Kutruka, who rarely hunts or works in the fields with his father and other community members. 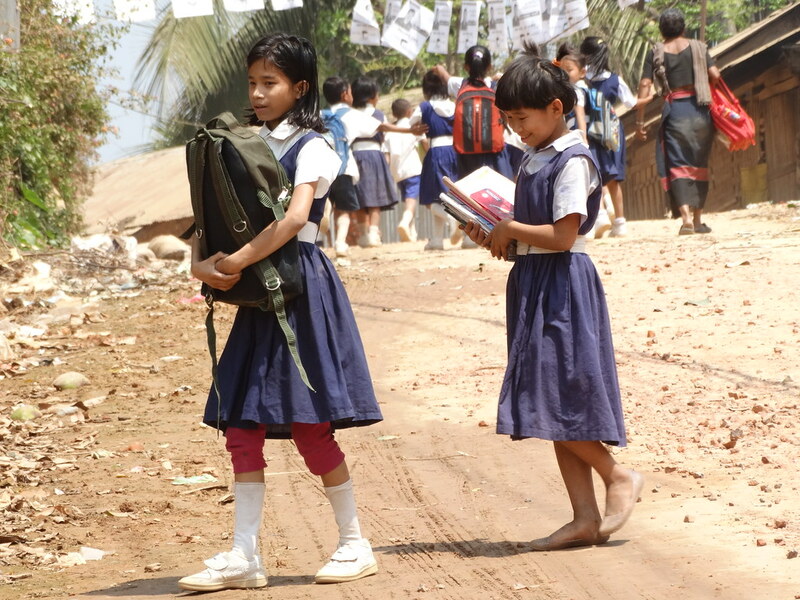 Experts point out that the modern school education doesn't provide the youngest with the basic livelihood skills required for living in a Kondh village. The hyper-competitive education system often makes it so that the children return to the villages with more individualistic traits, which are at odds with the communal living style. Niglu Pidikaka is about 60-years-old and the Jani (priest) of the village of Pinda, which sits between Darukona and Kachapaju. During the interview, he cradled his grandson as the women in his house were busy cooking for the evening. He says, "I can teach puja vidhi (ritual worship), but god will pick the next Jani… so everyone should know the rituals. But we teach by example and encourage questions. Toddlers sieve information through us, which results in long-term understanding, leading to self-sufficiency when they grow up." Niglu is not a big fan of school education, which he says keeps children confined in closed spaces and detached from nature. Being in the open is very important, he says: "If you lose connection with your forest, your nature, you lose connection with your people as well. We are all one unit." He finds that young people lack empathy as a result of the modern education system. Educational authorities do not agree. Jaychandra Pathy, who is the Block Education Officer (BEO) in the district's main town Bissamcuttack, doesn't think there is anything wrong with the education system. "Adivasi need to be educated to join the mainstream," he says. But Sarangi of Living Farms is worried about the effects of mainstreaming for indigenous people. There is a body of literature that shows adverse effects of mainstream education on indigenous people both in Australia and in the U.S. "In effect, you are producing a factory line of low-skilled labor for a bigger market outside – low skilled in life skills, livelihood skills. And you are adding to the population of poor," says Sarangi. The article is part of series produced under OneWorld – Dream a Dream Media Fellowship on Life Skills. Parul Abrol is an independent journalist based in New Delhi.